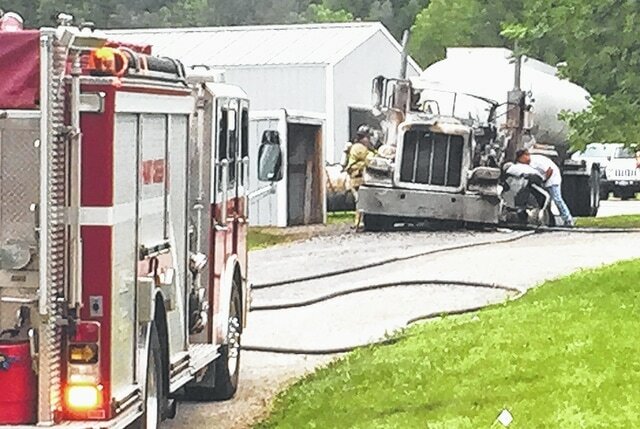 Firefighters were called to a semi-truck fire in the 3400 block of SR 247 south on Thursday. The call was received at 7:22 p.m. and Paint Creek firefighters found a truck owned by Elon Davis had caught fire due to an electrical issue. The truck’s trailor was not involved, and no adjacent structures were impacted, said Branden Jackman, public information officer for Paint Creek. All units were cleared by 8:28 p.m. There were no injuries. The Highland County Sheriff’s Office also responded to the scene.